Hello, hello! I’m Jillayne from Hazelnut Handmade. 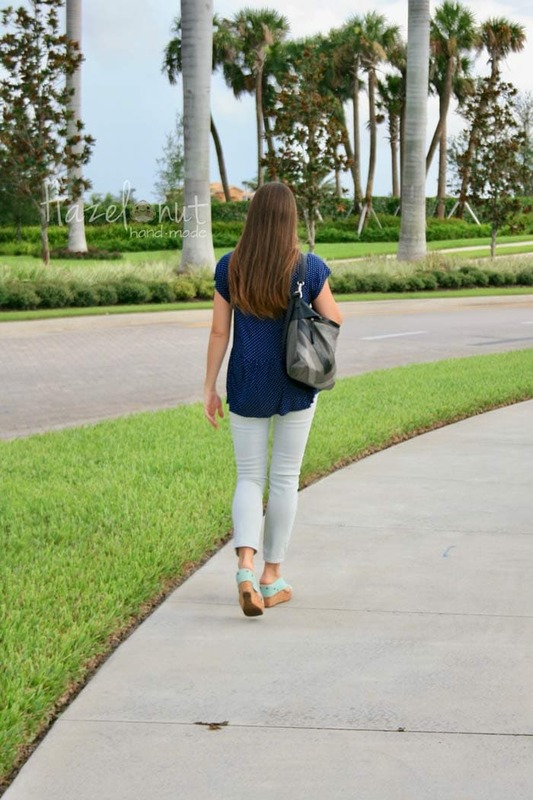 Today I’m sharing how I hacked the Rivage Raglan (aff link) to style my jeans for a girl’s night out, meeting, or casual date. Every once in a while I need to look put together and just a bit more than my usual ‘momiform’. But I’m usually not willing to put on a skirt. Guys and gals, I live in jeans and exercise clothes. 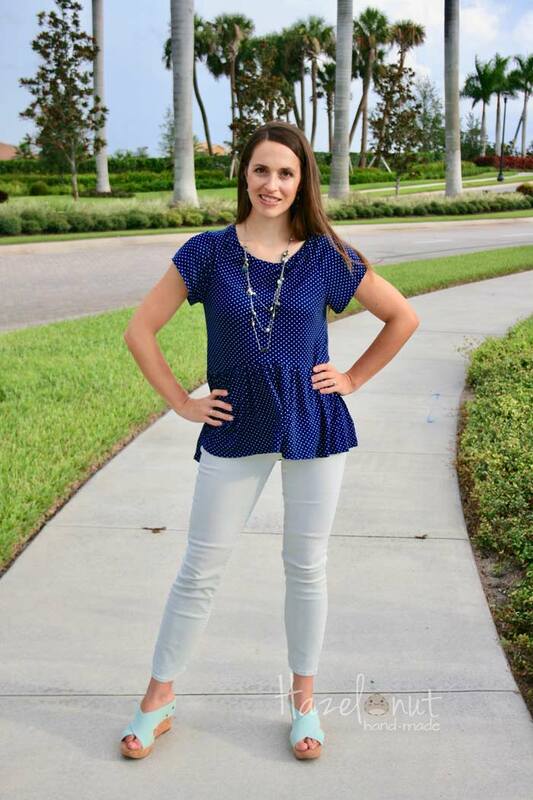 Let’s face it, as a stay at home mom, sometime jeans are actually dressing up! When I go to a playdate, I’m wearing jeans. Need to meet with a teacher? Get presentable with a pair of jeans! Husband and I head out on a date? Colored jeans to the rescue. Actually, my daughter did a double take when I came out of my room with make up, jewelry, and this cute shirt on. Luckily, she said I looked nice! And these mint jeans are my favorites. They are stretchy so they hug my shape and make me feel awesome without sacrificing any comfort. But I have a hard time pairing them with a top from my wardrobe. Especially when I want to take my jeans from ‘around the house’ to ‘going out’. 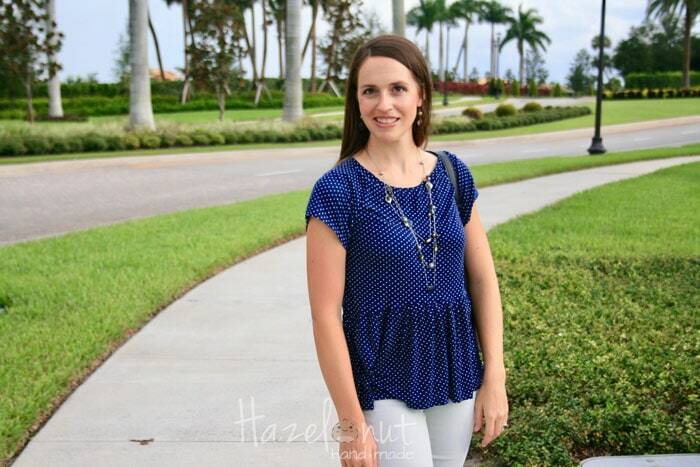 This ruffle peplum Rivage Raglan is my solution. This hack is super easy, but really effective. The Rivage Raglan is the perfect base for this hack because it has a relaxed fit and a slight high-low hem line. Pretty much all the work is already done! Blank Slate Patterns are drafted for a sewing cup C/D and I’m more like a sewing cup A (I blame my wide shoulders). So I selected the size matching my high bust measurement and then did a pretty hefty small bust adjustment for the front bodice piece. I followed the tutorial included in the pattern instructions for doing a SBA on a raglan. I’m really pleased with how it turned out. My shirt is still loose fitting, but doesn’t have tons of extra fabric or weird wrinkles around my bust. 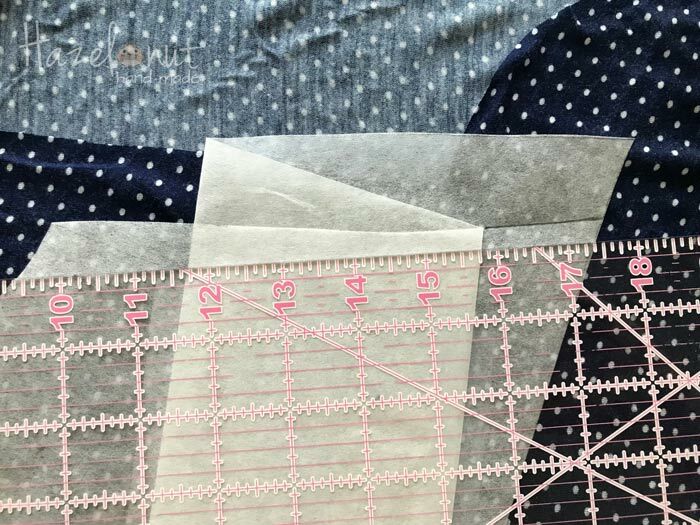 After my small bust adjustment, I raised the shirt hem 8 inches. 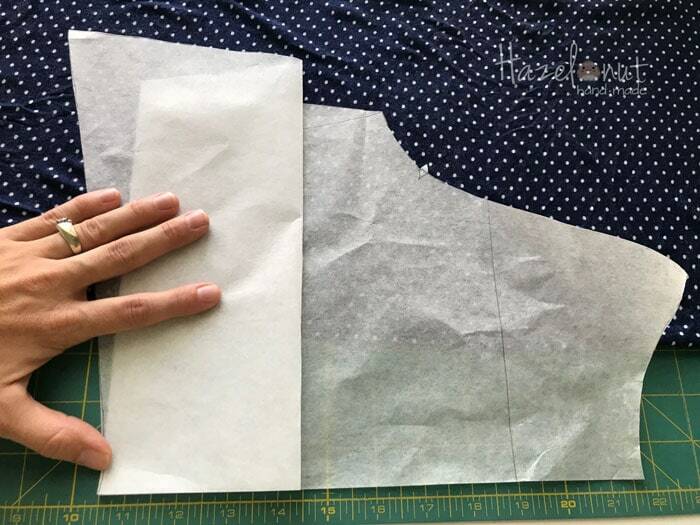 I also cut a rectangle 10 inches by the width of my fabric. Raising the hem the much created a big difference width difference in the side seam at the bottom and at the top near the sleeves. I just mimicked the original side seam as much as possible until I hit the new hem. Finished product is a cute ruffle peplum with raglan sleeves! 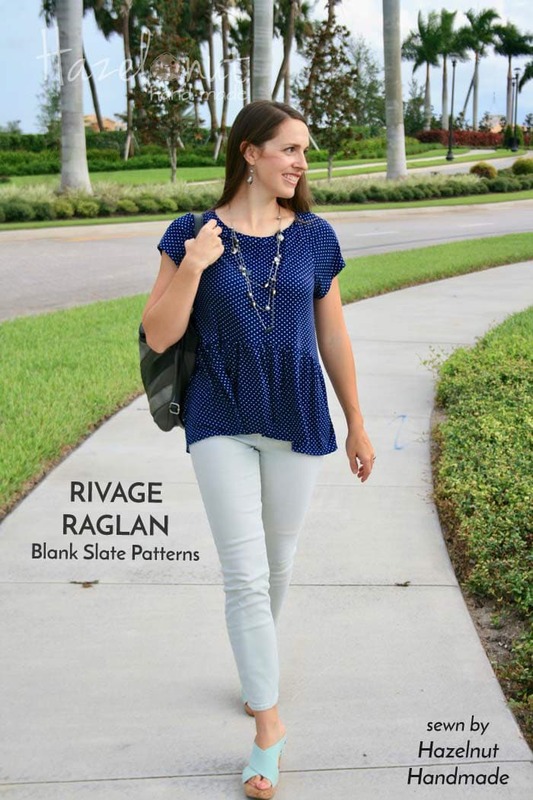 It’s a super simple and effective hack for taking the Rivage Raglan and making a great top to pair with my favorite jeans for a night out with my honey. This is fantastic! It looks great on you.